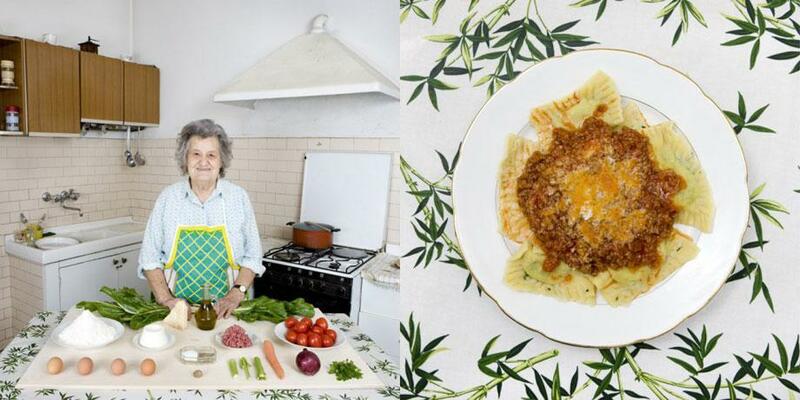 Gabriele Galimberti: “Delicatessen With Love” looks at grandmothers around the world (PHOTOS). In honor of Mother’s Day, share a photo on Twitter or Instagram of your grandmother or her signature dish using the hashtag #grandmacooks. Check out our submissions here. Photographer Gabriele Galimberti’s grandmother said something similar to him before one of his many globetrotting work trips. To ensure he had at least one good meal, she prepared for him a dish of ravioli before he departed on one of his adventures. 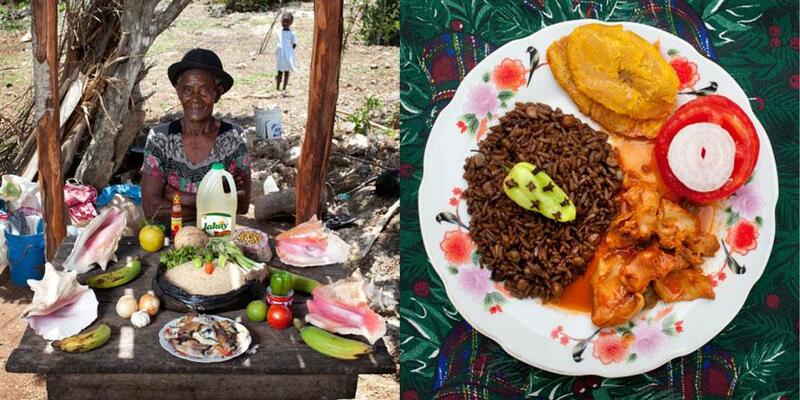 The project, “Delicatessen With Love”, took Galimberti to 58 countries where he photographed grandmothers with both the ingredients and finished signature dishes. The photographer’s grandmother Marisa Batini, 80, Castiglion Fiorentino, Italy. Swiss chard and ricotta Ravioli with meat sauce. Maria Luz Fedric, 53, Cayman Islands. Honduran Iguana with rice and beans. Galimberti said many of the subjects for the project were selected serendipitously, picked while he was working on a project about couch surfing that explored the global phenomenon of staying in other people’s houses. Since Galimberti never slept in hotels while working on the project, he was able to come into contact with people who introduced him to grandmothers in the area. “This families always became the way to get in touch with grandmothers, children and all the people that I needed for my other projects like ‘Delicatessen With Love’ and “Toy Stories,” Galimberti wrote. 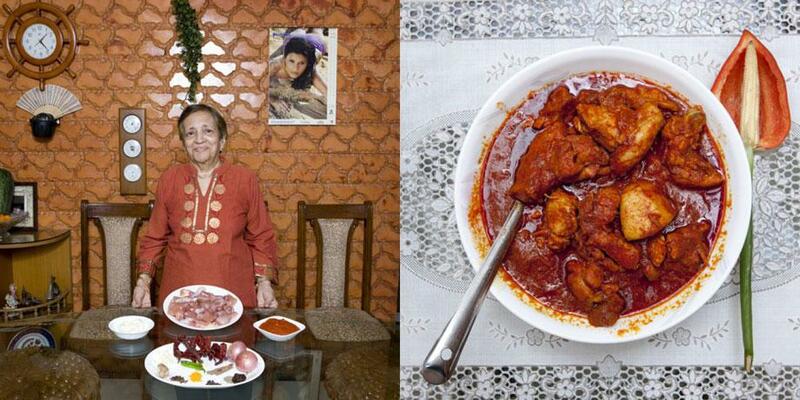 Grace Estibero, 82, Mumbai, India. Chicken vindaloo. Susann Soresen, 81, Homer, Alaska. 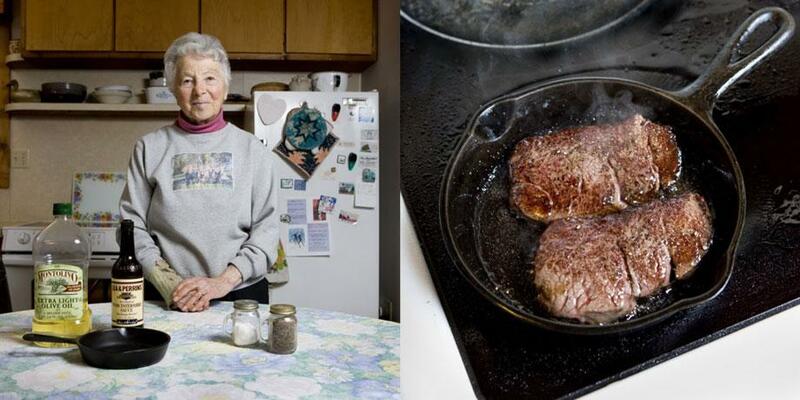 Moose steak. Inara Runtule, 68, Kekava, Latvia. 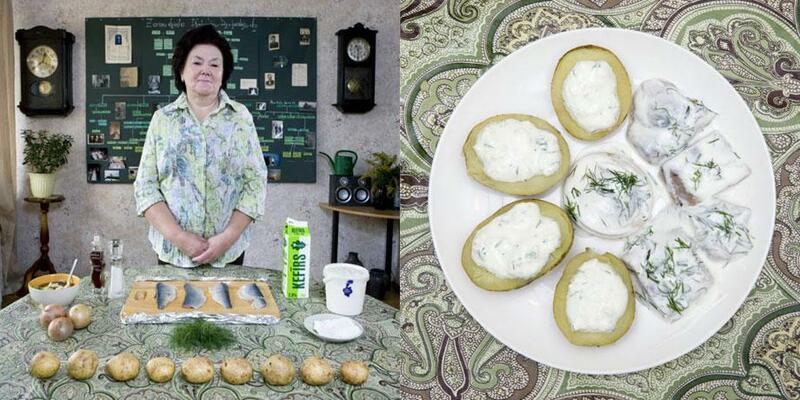 Silke (herring with potatoes and cottage cheese). The final images in the series also include the recipes for the dishes so the series doubles as an international cookbook, one that has universal appeal. And to make sure his grandmother didn’t worry too much about what her grandson ate during his adventures, Galimberti insisted he didn’t starve while working on the series. Valagerdur Olafsdòttir, 63, Reykjavìk, Iceland. Kjotsùpa (lamb and vegetables soup). Fifi Makhmer, 62, Cairo, Egypt. Kuoshry (pasta, rice and legumes pie). Bisrat Melake, 60, Addis Ababa, Ethiopia. Enjera with curry and vegetables.